ScrollingBoard is tweak for iPod,iPhone and iPad, that allow you to scrolling , unlimited icons in your dock and folders, addons in your dock like iPodControls and Volume/Brightness Slider, scrollview effects, and etc. 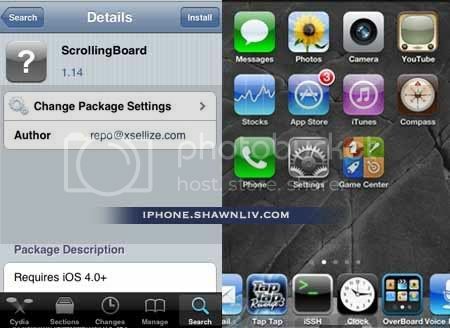 From xSellize, search the “ScrollingBoard” and installed it. After installation, “Scrolling Board” is available under the phone “SETTING”. After waiting for so long, I finally have Infinidock on my iPhone 4 4.2.1. This source works! Thanks man!